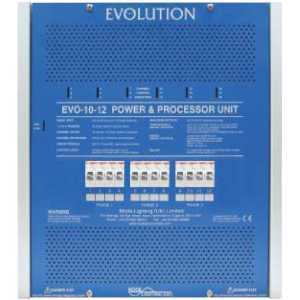 Leading Edge Dimmer Packs Evolution Power and Processor Units - Akwil Ltd. 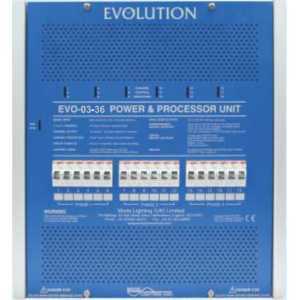 Leading Edge Dimmer Packs Evolution Power and Processor Units There are 6 products. - SIX CHANNELS of 10 amps resistive or 9 amps inductive loads, user selectable for dimming or switching. - NINE CHANNELS of 6 amps resistive or inductive loads, user selectable for dimming or switching. - TWELVE CHANNELS of 10 amps resistive or 9 amps inductive loads, user selectable for dimming or switching. 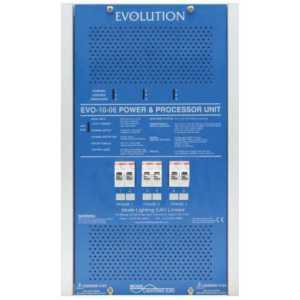 - MULTI-FUNCTION DSI, DMX, M-BUS, RS232, 0/1-10 Volt and contact operation. 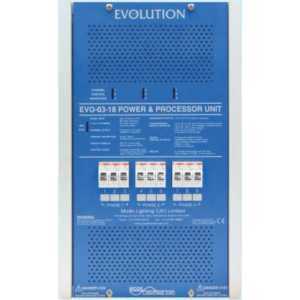 Mode EVO-03-18 Evolution Power & Processor Unit (18 Channels of 3 Amps, Inductive 3 Amps)- EIGHTEEN CHANNELS of 3 amps resistive or inductive loads, user selectable for dimming or switching. Mode EVO-06-18 Evolution Power & Processor Unit (18 Channels of 6 Amps, Inductive 6 Amps)- EIGHTEEN CHANNELS of 6 amps resistive or inductive loads, user selectable for dimming or switching. - THIRTY SIX CHANNELS of 3 amps resistive or inductive loads, user selectable for dimming or switching. Do you have a question about one or more of our Leading Edge Dimmer Packs Evolution Power and Processor Units products? Click below to contact us.